Though I don’t live in St. Cloud MN, I live close enough to know people who live there. From time to time I share tidbits of information regarding the Refugee Invasion occurring there. In the past, this was done just as a favor…. But as time has went by, I have been increasingly concerned by what I was hearing out of this once typical middle American town… And so, rather than merely regurgitate what I have heard from the locals of St. Cloud, I would like to add a perspective of one who has observed a multitude of things going on in America that concern me from the perspective of the Bigger Picture. So I will begin this article with some perspectives before providing you with the latest information the long term residents of St. Cloud, MN would like me to inform you of. the “debate” to the casual observer thus far has been, typical NIMBY (Not In My Back Yard). Locals were accused by the refugees and local government of not being tolerant and receptive to change. The prevailing political counter argument from the local political establishment has been along the lines that long time local residents were just grousing because they didn’t want this refugee resettlement going on in their back yards. And for a long time, I too viewed this from that perspective. But over time, I began to hear arguments that this, this influx of immigrants appears to be different than prior influxes of immigrants. Whereas in the past, the vast majority of immigrants came here and paid their own way (through savings, family, trades & jobs) this influx of immigrants is being immediately given welfare and support. And the townspeople rightly complained about their taxes being used in this manner. Further, this influx strained the infrastructure of the community for things such as schools. But then the locals began to indicate these new immigrants had no desire of becoming Americans, insisting that the locals bend to their previous customs and practices. Locals also complained about crime the papers and law enforcement refused to report or address. This like defacing of churches and groups of refugees hassling locals. The knife attack at the mall exposed the issues St. Cloud residents had been experiencing to the rest of the country. Our Revolution was actually caused by the friction between Natural Law’s “Consent of the Governed” & the Divine Right of Kings. Our Country is founded on Natural Law. 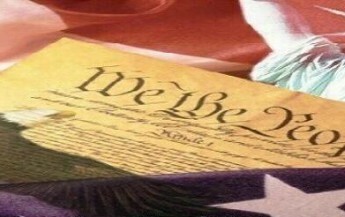 The Constitution and Bill of Rights reduce to writing some of the concepts of Natural Law. (See Locke’s Second Treatise of Civil Government). Essentially all people have certain unalienable Natural Rights. The Main purpose of American government is to protect the rights of the individual. The Progressives began about 1900AD. They were originally the Social Darwinists of the 1870s. They believe the masses are too stupid to know whats best for them, & therefore the rich, educated elites should be able to make decisions without being accountable to the masses. Progressives don’t like the Constitution, nor the Natural Law our Constitution is based upon. To get rid of the constitution, the Progressives have been working on various ways to make Americans receptive to changing their government. On set of ideas along these lines appears in Saul Alinsky’s “Rules For Radicals.” It essentially is a guide to trick a Democracy or a Republic in to Progressive Marxism. Hillary Clinton’s College These was on Saul Alinsky. One of the main strategies for tricking a society into Progressive Marxism is to “stress it out so much that individuals are willing to give up their rights and accept any form of government that promises to end the stress” Another strategy from Rules for Radicals is to prevent your enemies from successfully uniting against you by using issues & labels to divide & conquer them. And yet another Progressive strategy is the Cloward/Piven strategy of creating such a large class of subjects dependent on government for food, welfare or paychecks, that the government collapses upon itself. One last component of Progressive strategy is patience; they change policies slowly & incrementally so the masses don’t revolt from too rapid a change. I would ask all of you to consider the escalation and the increased pace of the escalation of stress we have experienced over the past 10 years. Progressives have stoked up seemingly unrelated issues and events to advance their Saul Alinsky, Rules for Radicals strategy. Progressives have stoked up issues of racism (Charlottesville), gay marriage, Obamacare, Women’s rights, the economy, the Budget, terrorist events, Wars, Police violence (Ferguson), Football Protests, elections in the must divisive, stressful ways they can. Now, with the information I just gave you about America’s founding principles, Progressivism & Alinsky’s Rules for Radicals you should be having a light bulb moment. These are not individual, unrelated issues and events, they are an orchestrated series of events designed to press the Progressive Agenda using Rules for Radicals Tactics. It should be clear from this that Progressives want to bring in the refugees for other than humanitarian reasons… Progressives want to import more terrorists so their is more stress on the masses. The more refugees the more conflict and division their will be, making it even more difficult to unite. And providing food and welfare to all these people will eventually bring about economic collapse. At that point, both the long term residents and the refugees will turn to Progressive Government and demand they do something to end all the stress, violence and economic strain… And thats when the Progressive Traitors will make their move. Now, as you consider whats going on in our country, tell me if the information I have just endowed you with makes things seem a little clearer… Whether you accept my explanation or not, doesn’t your own experience and reasoning tell you I have accurately predicted the emotions & tensions that are coming down the road? Your Government knows…. Why would your Government officials just let this happen… unless it is by design. Now for the information, some of the residents of St. Cloud MN have asked me to transmit to you. October 23rd City Council meeting..@ 6:00 pm Monday……..
A Council member plans to bring up the need for a moratorium on additional volag directed Somali Sunni Muslims brought to St. Cloud next year…this year is already set. This does not include Somalis that decide to move to St. Cloud on their own which may be hundreds and hundreds and hundreds more. If you feel that St Cloud needs a pause to study and reflect on the economic ruination from saturation of peoples that need everything please come and support a moratorium. This does not mean we do not support refugees in our area it simply means how many more can we handle without going under ourselves.? See Dearborn. Michigan and many towns and cities in Europe that have become NO GO ZONES that even the police are not allowed into. When is enough enough? PLEASE COUNCIL – RR MORATORIUM NOW! Editor: From time to time I post comments more prominently that I think are important but would get little notice otherwise. This is a comment I received about my post two days ago, here. I have lived in St Cloud for a long time and I can’t believe how fast the city is going down. The housing market in St. Cloud is falling way behind all the surrounding cities because of the excessive refugee population. Also the schools have become some of the worst ones in the entire state of Minnesota. The Star Tribune estimated over 30% of St Cloud Apollo High School is Somalian now and the other high school St. Cloud Tech has a larger refugee population in its area. They have only been coming to St. Cloud in large numbers the last decade and a half. What will happen in another 10 years? Plus all the extra kids they have? 80%? It’s very upsetting and frustrating that St. Cloud was a nice normal town that we could raise families here and go to decent schools. Now that is all gone and we have to take huge losses to sell our houses to get out of here. I really wish we would have a say in this since tax money is used for it. We almost have to move out of state, because any decent size city in Minnesota has or is starting to have problems with excessive refugees and poverty. I don’t care if people want to migrate here but we need to stop paying for it with our tax money and let them get over here on their own and take care of themselves. That’s what all our ancestors did and that’s what made America so strong. At least that way the people that do migrate here on their own will be hard working and motivated to live the American dream not just sit at home collecting welfare checks and having babies. See more comments worth noting and guest posts, here. MY FELLOW AMERICANS, OUR PROGRESSIVE GOVERNMENT HAS US DIVIDED OVER 2 MAJOR POLITICAL PARTIES. IF WE CONTINUE TO LET THEM PLAY US FOR FOOLS, THE AMERICA OTHERS HAVE SUFFERED LOSS OF LIMB & LIFE FOR, THE AMERICA WE LOVE, WE BE INCREMENTALLY DESTROYED BY THE PROGRESSIVES. DO NOT TRUST THE CAREER POLITICIANS… ALL BUT A VERY FEW HAVE ALREADY SOLD US OUT… YOU MUST FIND WITHIN YOUR OWN TRUSTED RANKS, PEOPLE TO BE YOUR LOYAL LEADERS.